Judith is a divorce solicitor with Woolley & Co, based in Wells, Somerset. 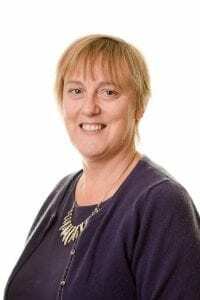 She has over 20 years’ experience in all aspects of family law and was head of the family department at her previous firm in Cornwall, where she dealt with divorce, children matters, financial issues, co-habitation disputes and domestic violence. Legal 500 for 2018-19 names Judith as one of their Recommended Lawyers for Family Law in the South West, noting that she comes highly recommended as part of our team that provides a “knowledgeable and conciliatory approach to all family matters”. “I adhere very strongly to the principles laid down by the family law organisation, Resolution. These promote minimising conflict in family disputes and encouraging solutions that meet the needs of the whole family. I have a particular interest and expertise in financial issues arising from family breakdown. I also have a good reputation for acting for grandparents in disputes relating to contact with their grandchildren. Since joining Woolley & Co I have dealt with many cases for British expats and cases where there is a question about which international jurisdiction may apply. My clients tell me that they welcome my straightforward, friendly approach and ability to explain what can often be complex issues in a clear and easily understandable way. I take a flexible approach and am happy to arrange out of office hours appointments to suit your needs. Judith qualified as a solicitor in September 1997, having previously qualified as a Legal Executive in June 1993. She joined Woolley & Co in April 2009 from a law firm in Cornwall where she was Head of the Family Department.